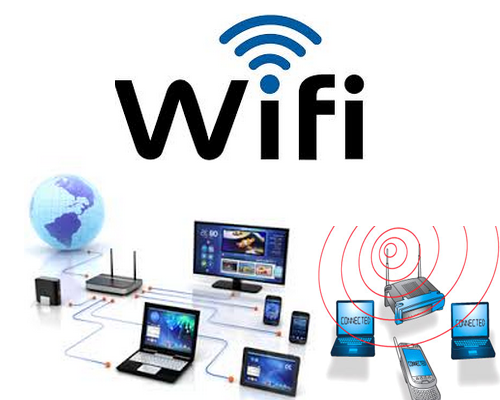 What is Wi-Fi 6 What can be done with Wi-Fi 6? The next generation Wi-Fi 6 was introduced with the Samsung Galaxy S10. So what is this Wi-Fi 6? Wi-Fi 6 is actually the new name for Wi-Fi 802.11ax. In order for the people to understand the Wi-Fi Alliance more easily, a sequential number order was adopted. Wi-Fi 6 was first used by Samsung’s new generation flagship smartphone, the Samsung Galaxy S10. The Wi-Fi Alliance wants other companies to move on to this name. So what makes Wi-Fi 6 better? Do I need to get a new router for this? Many things make promises about battery life, but how does Wi-Fi 6 do it? If you have a device and an access point using Wi-Fi 6, the access point can activate the new TWT (Target Sleep Time) feature. The feature is that it tells the device when to wait for new packet data, so it turns off Wi-Fi radio until new packet data is received. This is probably the most natural, of course, Wi-Fi 6, Wi-Fi offers more than 5 speeds. Wi-Fi 6, 40 percent faster than before. In addition, Wi-Fi 6 devices will be able to do all of these in 5 GHz and 2.4 GHz networks. The more people use their Wi-Fi networks, the slower it will be. Wi-Fi 5 came with a feature called MIMO (Multiple Input, Multiple Output). The feature was that Wi-Fi radios with multiple antennas allowed the access point to “talk” to multiple devices. The Wi-Fi 6 uses the MU-MIMO (Multi-User, Multi-Port, Multi-Out) system, so the access point can listen to multiple devices simultaneously. If you want to use Wi-Fi 6, yes, but you don’t have to rush yet because there are probably no Wi-Fi 6 support on many devices you’ve used yet. incredible but this Games released 10 years ago.